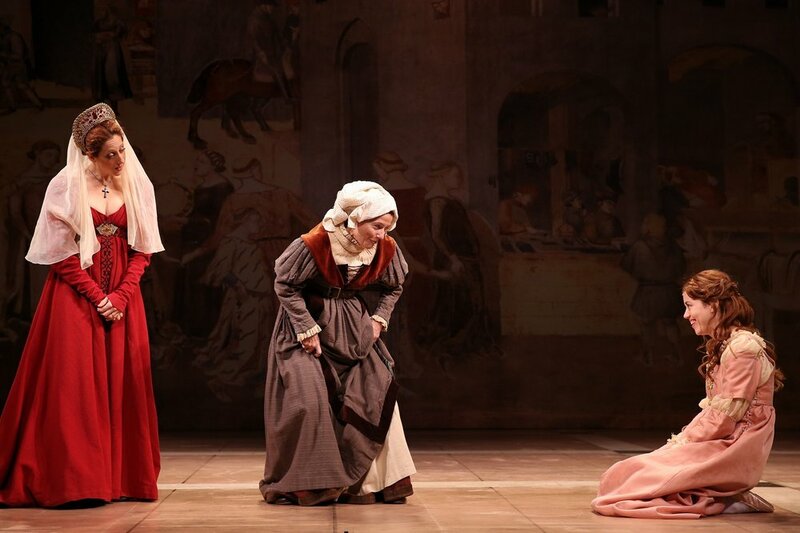 What makes it special: Artistic director Mark Lamos, an accomplished Shakespearean director, returns for another take on this familiar tale at a theater which really hasn't produced much of the Bard in its long history. And this production? The title characters are dead on arrival. Or at least, deadly, in one of the most lackluster interpretations I have seen in these roles, One could be charitable and call it a daring millennium-era take on these characters but that would be insulting to millennials. 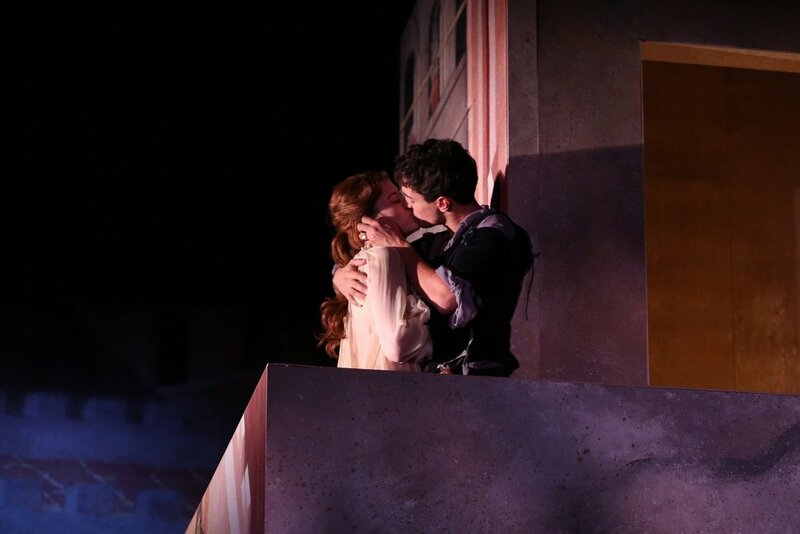 When James Cusati-Moyer's Romeo first connects with Nicole Rodenburg's Juliet, it's as if they just want to hang; not have their lives changed eternally. 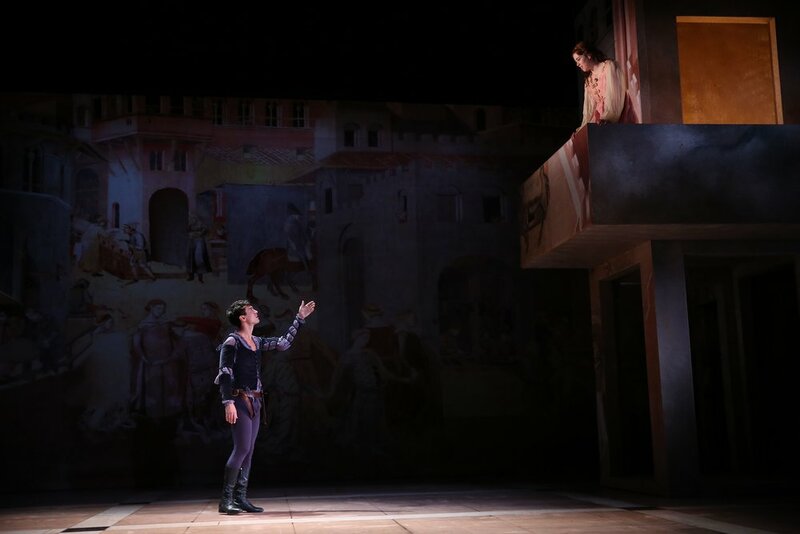 When the good Friar -- a wonderful Peter Francis James -- asks Romeo how Juliet is any different than his last crush Rosaline, the answer is not even close to convincing. When Juliet bids a farewell to the departing lover as he goes in exile, you sort of feel it's not the end of the world and the kid's gonna bounce back. You also know youre in trouble when you look at the characters in set designer Michael Yeargan's handsome al fresco backdrop with more interest than the three-dimensional characters on stage. Can you say something positive? Did I mention Peter Francis James? Oh, yes, I did. Well, Matthew Richards created some lovely lighting tableaus. And Felicity Jones Latta's Nurse was solid.. J. Kenneth Campbell's Escalus had the requisite gravitas. And I liked Triney Sandoval as Lord Capulet and his command of language -- until his meltdown when Juliet refuses to marry Paris and he lost all sense of aristocracy, sounding like betrayed fishmonger. I kept waiting for Alison Cimmet's Lady Capulet to do some comic schtick. She certainly looked like she was on the verge of it and I, for one, at a certain point in the show, would have welcomed it. In the end, there was no sense of tragic loss, of romantic destiny, even the deep ache of senseless rivalries and the futility of polarized power. In the end, it was just over. Who will like it? : Perhaps some young folks might get some under-the-radar vibe that I missed and connect with the show. I hope so. I hope they loved it. I hope it inspires them to seek out more Shakespeare. The basics: The production continues through Nov. 19. Running time is about 2 hours and 215 minutes,. including one intermission. Performances are Tuesday at 7 p.m.; Wednesday at 2 and 8 p.m.; Thursday and Friday at 8 p.m.; Saturday at 3 and 8 p.m.; and Sunday at 3 p.m. For more information, www.westportplayhouse.org and the boxoffice at 203-227-4177.